Highest federal court in the United States. The United States has three branches of government: the judicial, executive and legislative branches. In this article I will address the many functions of the judicial branch and how it works together with the other two branches of government to maintain, enforce and revise the United States constitution. 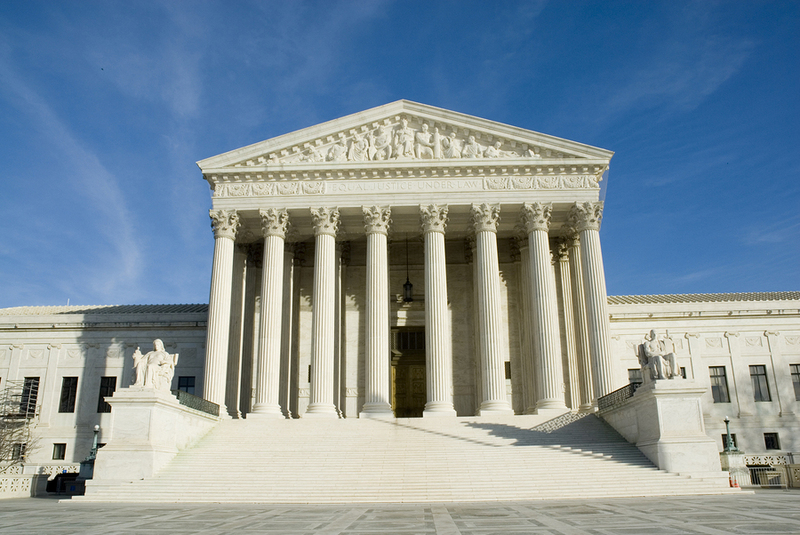 The Judicial branch’s main objective is to interpret and apply the law. It also provides the tools to resolve any disputes among US citizens. The three branches of government were designed to separate power within the government so that no one branch would have more power than any other branch. The executive branch acts as the enforcer of law, the legislative branch works to write new laws and the judicial branch then applies those laws into their real-world applications. Simply, the judiciary branch can be represented as the court systems throughout the country. When someone has a run-in with the law, they are subject to the judiciary system and judged for their crimes in court. Thus, this branch is tasked with ensuring equal justice for everyone under US law. The judiciary branch also has the power to change the law through the process of judicial review. This means that the branch has the power to repeal a law when it does not abide by the laws set forth by the constitution, international law or primary legislation. Most commonly, the highest court in the country, known as the supreme court, is renowned for historical rulings in cases where a law is deemed unconstitutional, such as laws for segregation, abortion and gay marriage. Furthermore, the supreme court is the only court that was set forth by the constitution. Because the constitution is a complex document to interpret, the supreme courts is tasked to study and examine the document very carefully. Thus, the supreme court is responsible for explaining the contents of the constitution for the citizens of the United States. Every other court in the United States must follow rulings made in the supreme court. The supreme court has the power to judge whether the governments of individual states, regions and the entire country are abiding by the constitution. So, the supreme court even has the power to judge whether the President himself is acting constitutionally. Decisions in lower courts have the possibility of being appealed or overturned, but rulings made by the supreme court are final. Out of the thousands of cases that are requested to be judged in the supreme court, only about 150 cases ever make it to the supreme court justices each year. This is due to the fact that the supreme court takes time making their rulings to consider every factor in the case. Only issues of the utmost importance make it to the supreme court. 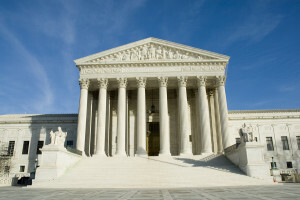 The supreme court is comprised of a chief justice, or the leading judge, and eight other associate judges. Each judge is appointed by the president in office, but they must first win the majority vote of the senate before they can serve. Once they are chosen for the position, justices can serve for life, unless they decide to retire.